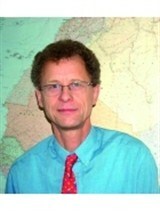 Dieter Grau is a consultant who specializes in intercultural communications and management training. He works closely with companies and organizations regarding business etiquette and cultural differences around the world, with a focus on Africa, the Middle East and China. Mr. Grau works primarily with clients in Germany and Europe, though he accepts clients worldwide who are interested in conducting business internationally. His work is supported by his ability to communicate in multiple languages, including German, English, French and Arabic, as well as basic Russian and Chinese. Additionally, Mr. Grau is often invited to present at workshops and conferences regarding his areas of expertise. Prior to working in this capacity, Mr. Grau worked as a business journalist and special envoy in the Middle East, Maghreb, West and Central Africa and East Asia, mainly Taiwan. He had the opportunity to interview countless businessmen who operated in these regions. Mr. Grau utilizes his extensive international experience to provide others with vital information in preparation for foreign affairs, assignments and business deals.